Eagle Office Concepts located in La Grande, OR is a Lanier and Toshiba Copier Dealer. 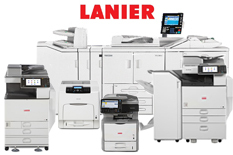 We are ready to service any of your office equipment and document flow needs. Our team is dedicated to the mutual growth and prosperity of both your company and ours. We realize that our success is in your satisfaction. Our goal is to have your office running as efficiently and cost effectively as possible. 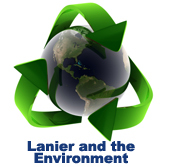 We are partnered with Lanier and Toshiba both industry leaders in hardware and document management solutions. This partnering coupled with our in house expertise means we can bring you the latest in technology at an affordable price.